Fluency Joke Book ~ Knock Knock Jokes! My third graders have always been crazy for Knock Knock jokes! Since they love to read/reread these jokes, I began using them for fluency practice!! 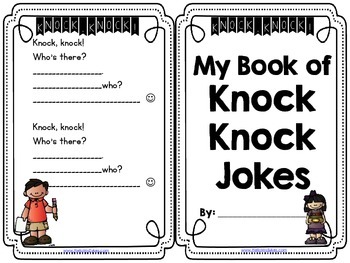 This free Knock Knock Jokes Mini-book is a fun way to practice fluency with a friend. Copy double-sided and fold for a super cute booklet- no staples, no cutting. The Melonheadz graphics look great in color or black/white, and the back has space for students to record their own Knock Knock jokes on the back. Instead of charging for this resource, I'm asking for feedback. 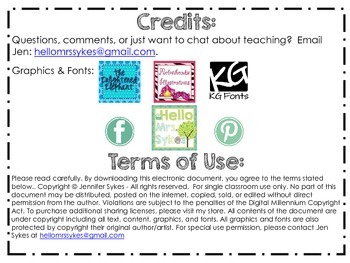 If you enjoy this free download, please let others know through feedback, pinning on Pinterest, or sharing on social media. Thanks!! Follow my shop for updates on products and new listings.